Every year the number of the turkey hunters increases. 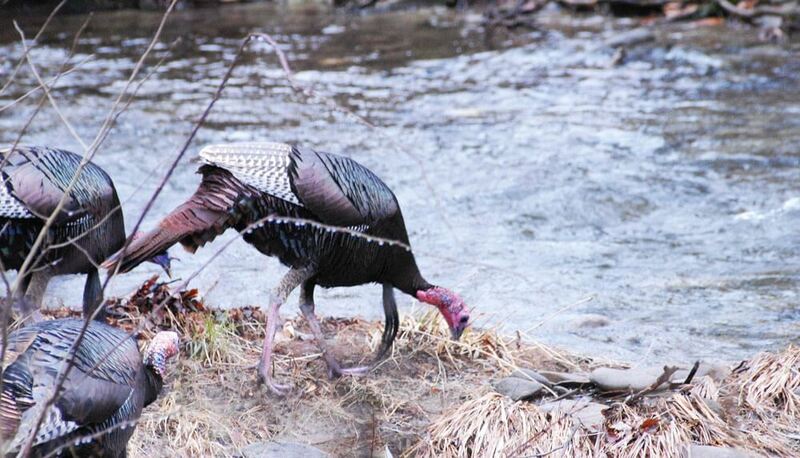 Such activity as turkey hunting requires skills and practice to stand out among other hunters. Purchasing the call of a high-quality is one of the major tasks. 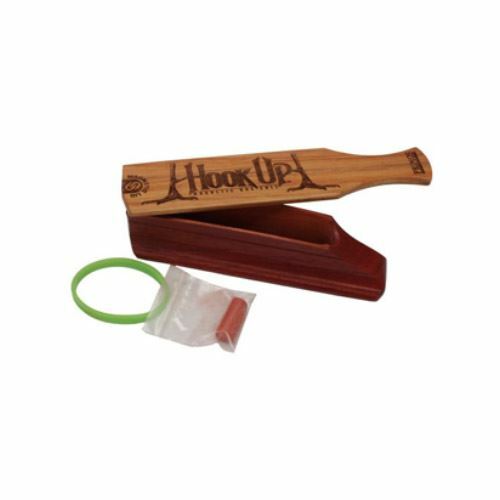 The turkey call makes it easier to attract a bird using special language. There is no doubt that it should be the call that produces authentic sound and easy to use, so you definitely succeed in hunting a turkey. 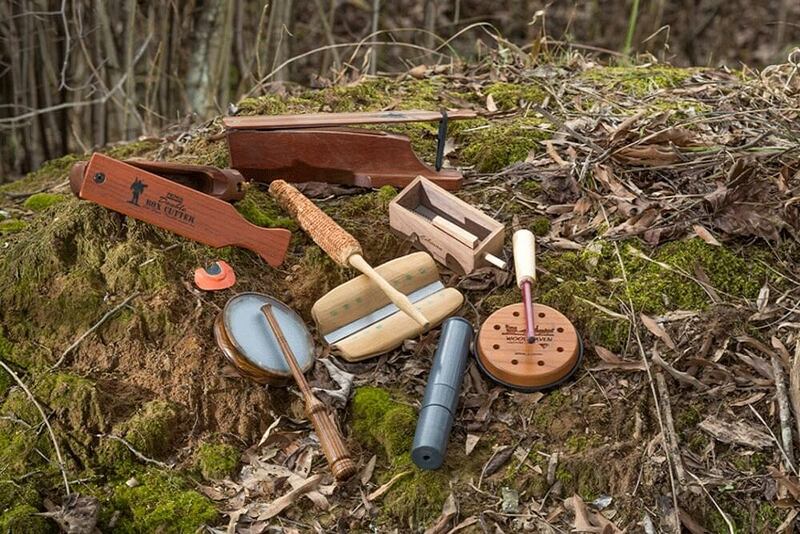 Our list of the best 10 turkey calls will help you to figure out what types of the calls exist and what call suits you better. 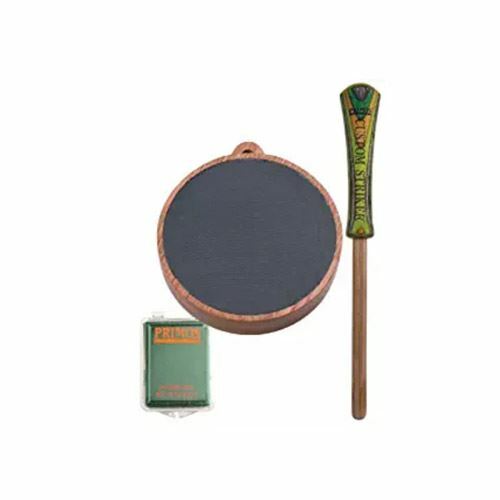 This turkey call by Primos meets all hunters’ requirements as it was produced by a team of the professional hunters. The call has silence cap that allows avoid any sounds that can distract. Whether you prefer Jake or adult gobbling, you can use the call both ways as it is one-handed and two-handed. It may work not that good when it’s cold. The connection of the tube and the base of the call is not tight enough and may crack. Such a light call like this one which has not only incredible design, but that can be used in the harshest conditions. The call is easy to use so the experienced hunters and newcomers can use it. This call includes a patented magnetic hinge. Its design allows a good tension for natural and authentic sounds such as purrs, yelps and cutts. The magnet makes the paddle to be on its place, but it can be also removed for comfortable and less noisy transportation. It also has a gobble strap. Comparing this Primos call to others, its construction is bigger than usual and not portable enough. Primos has been producing calls and other hunting gear for many years which and provide high-quality products. 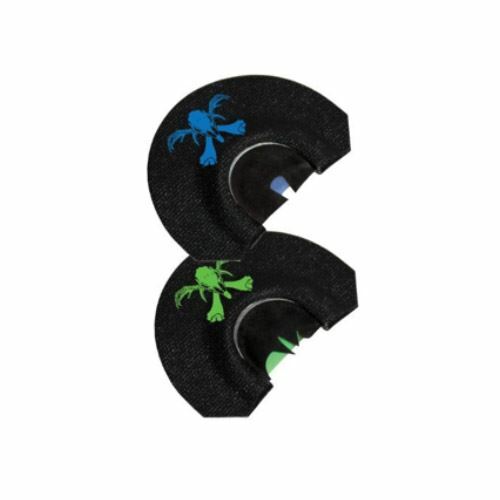 Purchasing this set of the Primos calls you have a chance to experience the perfect sound. The green call comes out to be universal call and produces more aggressive sound while the blue one is better to use for purrs and kee-kee as it requires not so much air. Soft tapes seal perfectly in the mouth. It may not feat your mouth as they come large and have to be cut. 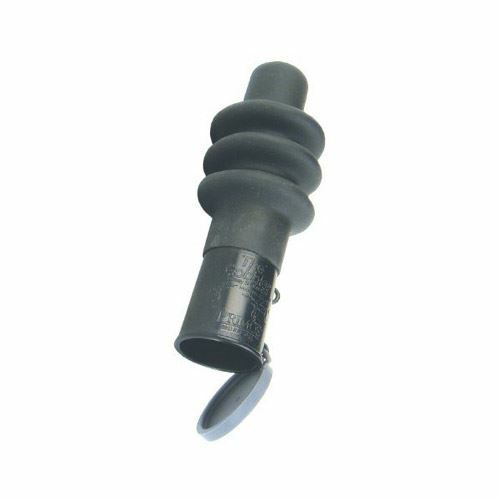 This call represents high quality and strong material to use it in all weather conditions and environments. The call provides such tones as purr, cluck and yelp. It is easy to use and does not need to be adjusted. The call was also tested to stand the harshest environments. You have to learn how to use this call properly and practice to produce perfect sound. 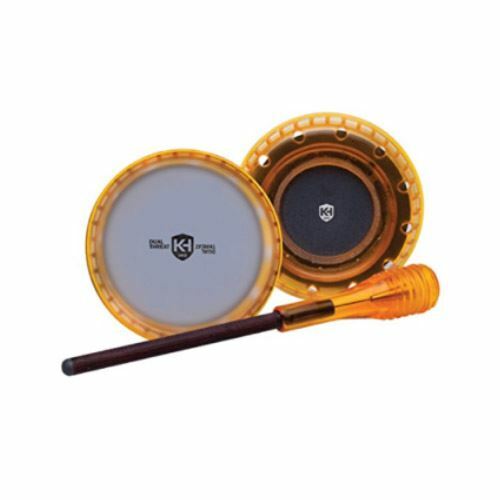 Primos turkey call features a high-quality equipment and design, along with good materials to provide the brilliant performance. 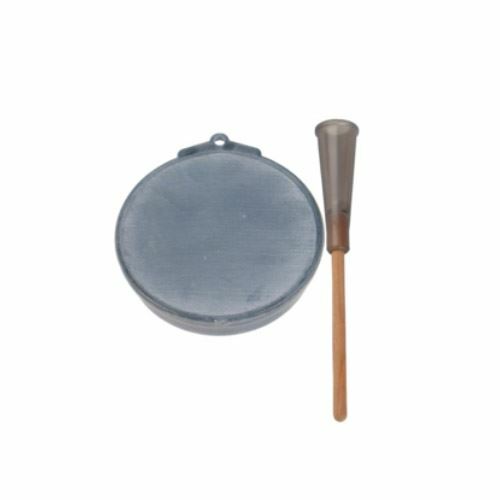 The call comes with a conditioning kit and in handy so you may recondition the slate whenever you use hence to provide the perfect sound. The call represents the mix of South America hardwood and Pennsylvania slate. The sounds of the call are loud enough and can be used on the short or long distances. The call does not come with the case for conditioning pad. This call includes everything what every hunter looks for a successful and excellent performance. The flip-sided design allows hunter to change the tone easily. 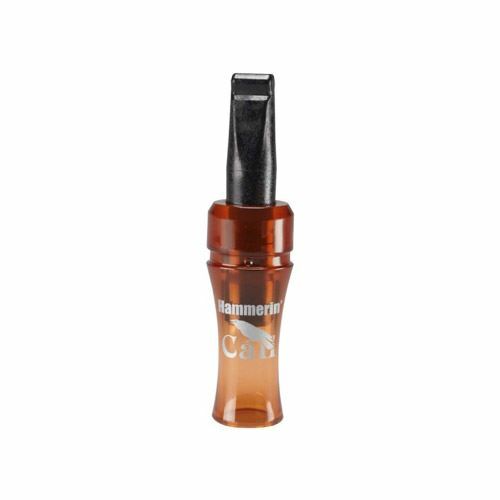 The glass side of the call produces tones on the solid volume so it works well-enough on the long distance or windy day. The call includes a diamond wood striker upon. It is absolutely waterproof with the internal resonator to make vibrations within the slate surface and to provide natural sound. The call has a grip around the edges so it stays in your hand for sure, and can be used along with the gloves. It does not come with the cleaning solution. 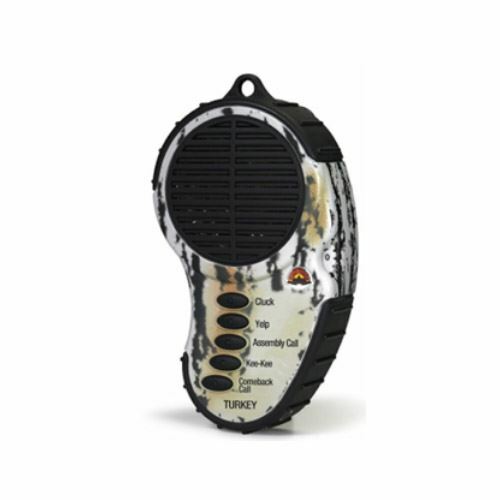 It is not a mouth call but an electronic device that provides the easiest operation you may find among hunting gear. The call includes 5 calls: cluck, yelp, kee-kee, assembly and comeback calls. The call also includes the external speaker. You can attach the call to the belt with the clip. The grip over the call makes it safe to keep in the hand. The volume of the call is adjustable. If you increase the volume too much the sound is not natural as it should be. 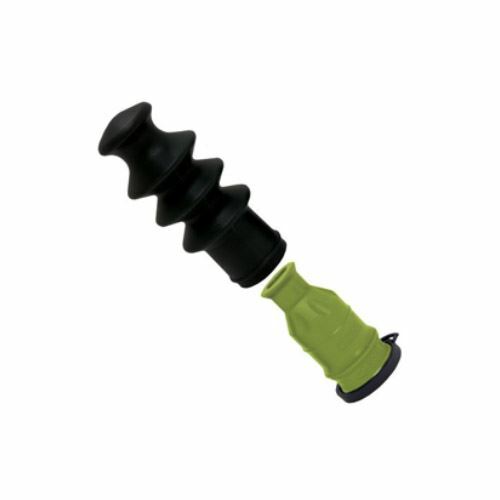 This locator call turns out to be one of the cheapest and lightweight calls every hunter can allow to get it. The variety of the sounds and weather resistance makes the call to be good equipment. The call produces fighting, distress cries, gathering and come here sounds. It resists any weather conditions and the harshest environments. The call can be used for the long ranges and in the field. The base of the call which connected to the tube is made of plastic that is not very reliable. After purchasing the call, it requires some adjustments to use item properly. The Double Gobble is a great item for make the gobblers to come in. It provides the ability to produce Jake or Mature Gobble easily! You can use the call in two ways: by mouth or by a hand. For Jake gobbles you have to shake it which is one-hand operation and for mature gobbles, it requires a pump that is a two-handed operation. The call also includes a patented silence cap. It requires enough skills to operate the call right. Some claims that the volume of the call is not high. This call is made from walnut and poplar wood. It replicates soft clucks, purrs, and tree talk. It is also compact and can be easily operated with one hand. It allows you keep the other hand on your gun as turkey approaches, so you won’t miss it, while you will be trying to take the call off. The call is made of the high-quality material. It is easy to use and does not need any adjustments. The fingertip control provides soft cluck, yelp, and purr. The construction may be not so reliable as it should be. Mouth Call. It is a call of U-shape equipment which you put into the mouth to produce the tone with the air pressure. It requires skills and practice to master this type of the call for a good performance. You do not need to hold it by hands. There are calls with one or two reeds that produce a great range of sounds. Box Call. 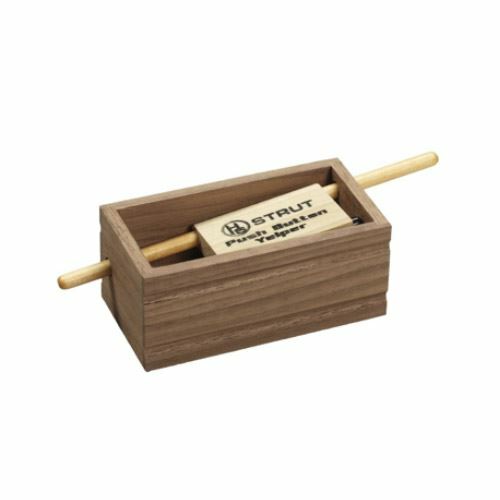 This call comes with the box and swivel point which you should move across it to make a sound. It is not difficult to use but requires you to identify the necessary angle. However, due to the box calls are made of the wood, it can’t work well-enough if it gets wet. The box calls also are a two-handed operation. Slate Call. It includes the base of the call and the striker. The slate is usually made of the slate while the striker is plastic. Unlike the others calls, this one is a bit difficult to operate and takes some time to learn how to use it correctly. Locator Call. The usage of this call’s type depends on the time of the day and place. It can produce not only sounds for turkey but owls, hawks, and others. It is better to look for a call that can produce more than one sound and includes both low and high levels of the volume. You have to make sure that the call comes with all necessary parts so you do not have to spend the time to figure out how it works. For example, the calls with the striker require chalking it to make really good and natural sound. There are calls that are used by the lips, hands and by the pressing of the button. You should choose the one which is easier for you to operate. By the way, every call is for a certain purpose. For example, there are calls that excite, make fall asleep or disclose the location of the bird. Calling a bird is not an easy task and requires certain skills and patience to master it. In this case, you should look for the call which is easy to use and doesn’t require additional adjustments. 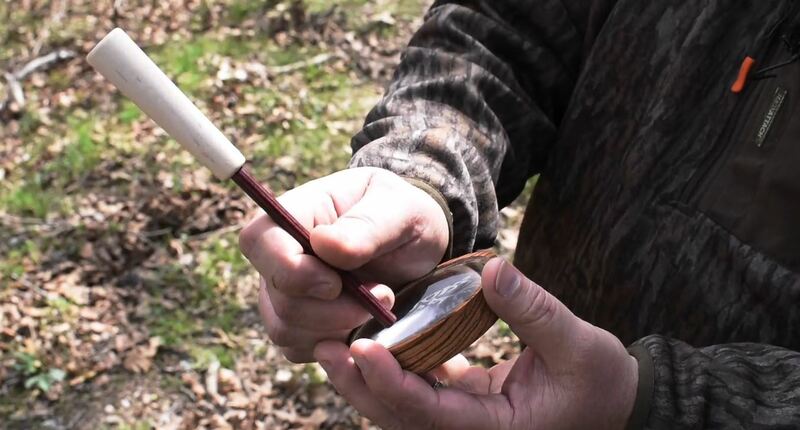 Nowadays, there are plenty of the turkey calls on the market. Whether you are a professional hunter or a newcomer, you should choose such gear very carefully. Use our descriptions of the items and compare them to select the one suitable call for you and your needs.